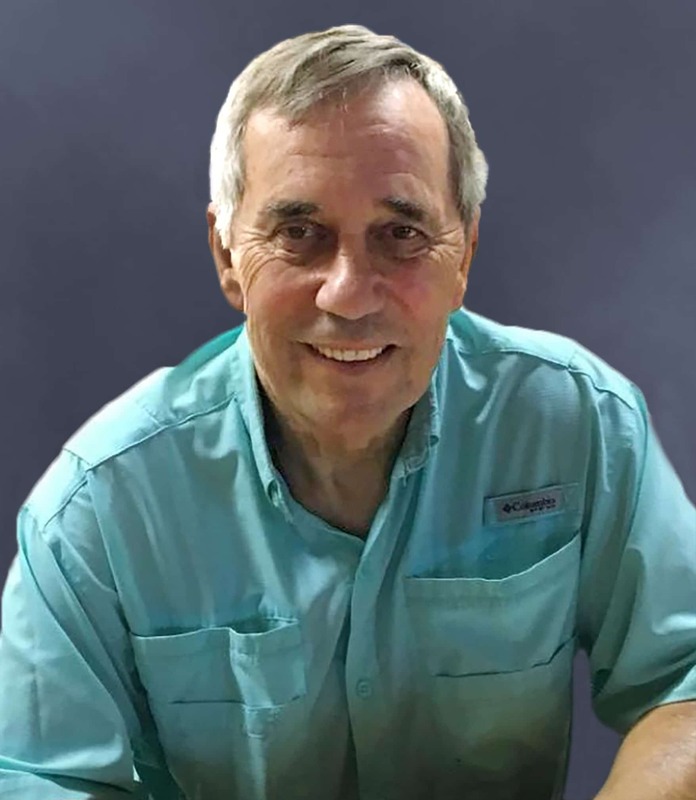 Mr. John Merton Race, 73, of Seminole, Florida passed away peacefully at home on the 20th of January, 2019, surrounded by his wife, who was the love of his life, and his loving children. 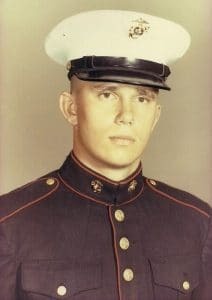 In true Marine fashion, John’s internal warrior surfaced as he waged a valiant five year fight against multiple myeloma which he contracted from his exposure to Agent Orange while serving his country in Vietnam. John’s strength, courage and bravery during his fight was admired by his family, friends, and all of his medical staff. John was born on October 13, 1945 in Portsmouth, New Hampshire. He moved to Florida from Columbus, Ohio in 2012. John was the proud patriarch of the “family forest.” He will be greatly missed by his loving wife of 22 years, Deborah M. Furka, children, Alison (Lloyd) Hildebrand (New Baltimore MI), Julie (Jamie) Angelo, (Kent, OH), Cory Race, (Brooklyn, NY), Benjamin Grueschow (Seminole, FL), Timothy Race (Brooklyn, NY); sisters, Martha (Robert) Smith (Kirkland, WA), Betsy Race (Willoughby Hills, OH), brother-in-law, Robert (Linda) Furka (Wheeling, WV), sister-in-laws, Veronica (Andrew) Pollus (Conneaut Lake, PA), Mary Faith (William) Recinella (Clearwater, FL), Deborah Race (Worthington, OH), grandsons, Kaden, James, and Jaxon, by whom he was lovingly called Papa, Holly Brommer (Shelby Township, MI), Charlene Heinisch Race (Bradenton, FL) and many nieces and nephews. He was predeceased by his parents, Merton F. and Elizabeth J. (Brown) Race, and his brother, Richard F. Race. John served proudly in the United States Marine Corp. In October 1964 he went to Parris Island for Boot Camp and then was assigned to Camp Pendleton (CA) where he went through special operations training. In January 1968, he was assigned to Vietnam serving two tours as an infantry Marine. During that time, he served in Delta Company, First Battalion, 7th Marines. He was stationed in Danang and Hoa Vang, Vietnam from January 1968 to October 1969. In February 1968, John was promoted to the rank of Sergeant. In October 1969, he was transferred to the Fleet Marine Reserve and was Honorably Discharged in October 1970. During his service as a Marine, he received the Combat Action Ribbon; Meritorious Naval Unit Commendation; Vietnamese Cross of Gallantry with Palm Medal; Vietnamese Cross of Gallantry, Civic Action Medal; Vietnam Service Medal; Vietnam Campaign Medal and National Defense Medal. Upon his return to the United States, John continued his call to public service in his chosen profession of law enforcement. In 1972, he joined the Portage County (OH) Sheriff’s Office as a Deputy Sheriff. In 1974, he joined the City of Kent (OH) Police Department as a Police Officer where he rose to the rank of Detective Sergeant. John continued to serve law enforcement as Chief of Police in Sagamore Hills (OH) Police Department ; South Burlington (VT) Police Department  and Decatur (IL) Police Department . In 1994, he returned to Ohio as the Deputy Chief of Police, Cuyahoga Metropolitan Housing Authority where he served until 2000. In 2001, he began teaching as an Assistant Professor at the University of Pittsburgh teaching Law Enforcement related courses. In 2005, he joined the Carnegie Melon University (PA) Police Department as a Lieutenant. In 2010, he once again returned to Ohio and was appointed the Director of Public Safety at Ohio Dominican University. In 2012, he retired after many years of distinguished public service. His retirement years were filled with many magical adventures with his wife, visiting with his children, grandchildren, family and dear friends and traveling. He will always be remembered as his wife’s Mickey to his Minnie. John’s “family forest” offer their heartfelt thanks to their family, friends and his medical staff at Florida Cancer Specialists and Moffitt Cancer Center who traveled this journey with him. A Viewing/Visitation will be held on Friday evening, January 25th from 5:30pm to 8:30pm at Veterans Funeral Care, 15381 Roosevelt Boulevard, Clearwater, FL 33760. A Funeral Mass is scheduled for Saturday, January 26th at 10:00am at Blessed Sacrament Catholic Church, 11565 66th Avenue North, Seminole, Florida 33772. Arrival at 9:30am is encouraged. Floral arrangements may be sent to Veterans Funeral Care, 15381 Roosevelt Blvd, Clearwater, 33760. Donations may be made in memory of John to the Gary Sinise Foundation, www.garysinisefoundation.org or Moffitt Cancer Center, www.moffitt.org/give. It is with a heavy heart that we mourn John’s passing. He was a true warrior who took on any challenge life threw at him with courage, bravery and perseverance. During his journey of battling cancer, John used to say “Anyone who says sunshine brings happiness has never danced in the rain” For John, life wasn’t about how you survive the thunderstorm; it was about learning how to dance in the rain so he didn’t have to worry about having an umbrella for the rest of his life!!!! My condolences to you all as I read about John’s passing. I worked with John at Ohio Dominican and always remember his upbeat outlook on every situation. May you be comforted by the positive impact he had on all who knew him. To be absent from the body is to be present with the Lord. My prayers for comfort are with you and the family in the loss of your love one. It was a pleasure to have known John and worked with him for many years. Many of us were encouraged by his knowledge and leadership. Remembering good times serving the city, lifting weights and playing football. He will be greatly missed by all. I count myself as a fortunate man to have known John. He was a great friend and mentor during the years we worked together at the Portage Co Sheriff’s Office. Iam sure all will agree that he had a profound, positive, and lasting impact on the lives of all who worked with or knew him. May God strengthen and comfort you during this difficult time. My condolences to John’s family whom he loved dearly. I worked for John for almost 3 years while at Ohio Dominican University. As his Associate Director, John taught me so much in such a short time that I was able to become a Director of Public Safety at another college after he retired. He was a laugh a minute guy and so easy to work with. One of my best bosses ever. He always had his teams backs and fought tooth and nail for us.John was a leader in every sense of the word. He was always a Marine first! John led be example and wouldn’t ask you to do anything he wasn’t prepared to do himself. RIP John you have deserved that honor! Semper Fi!! I clearly remember the good times we all had with Johnny at the “Hood”. Sorry to hear. Please accept my sincere condolences on John’s passing. I am a Pastoral Care Volunteer at Florida Cancer Specialists, and while I was there, John and I had many great conversations about politics, his family, and his very interesting career. He was a very nice man and I always enjoyed talking to him. He loved his family dearly and also his country. My thoughts and prayers are with all of you. Dear Deborah and family. I was very saddened to hear of John’s passing. He was a wonderful man and a highlight of my work career. It was quite a surprise to meet John at Ohio Dominican and find that he and I served in the same area of Vietnam at about the same time. He was an excellent leader, intelligent, always up-beat, and fun-loving. I will miss him very much. With sadness I read of John’s passing. God bless him and may he find that Heaven’s Gates are guarded by United States Marines! EJM WHS Class of ’64. USMC 1966-69.